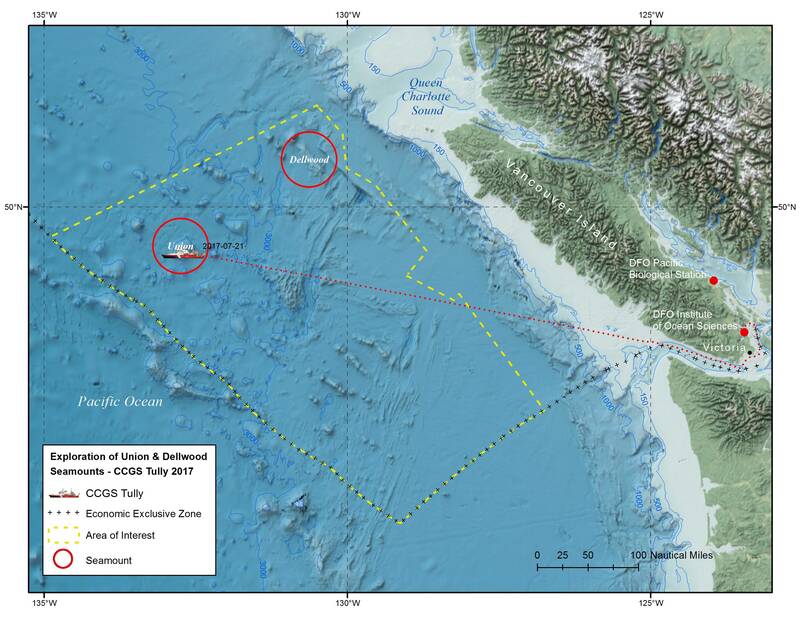 A team of scientist from Fisheries and Oceans Canada has set out on a mission to study the oceanographic conditions on and around two intriguing seamounts in Canada’s new Offshore Pacific Area of Interest off the coast of Vancouver. A seamount is a mountain rising from the seafloor that does not reach the water's surface, and thus is not an island. They are often biological diverse hotspots, providing habitats for many species and can have a significant effect on local circulation patterns, altering conditions tens of kilometers away from their summit. 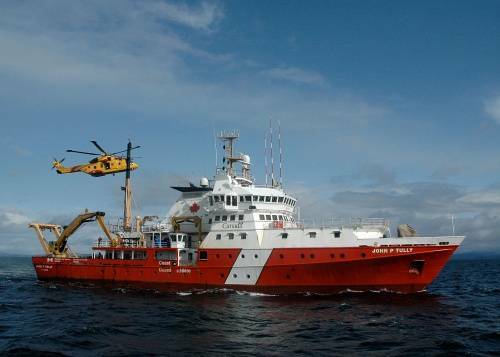 From July 18 to August 1, 2017, researchers onboard the Canadian Coast Guard Ship John P. Tully will survey and collect the first-ever underwater footage of the Union and Dellwood seamounts, gathering insight into these valuable Canadian marine habitats, and helping to gain a better understanding of other regional seamounts for which data is sparse. Data gathered during this mission will also help to inform the planning and management of the future Marine Protected Area. According to Fisheries and Oceans Canada, the research will help assess the presence, abundance and distribution of species living around these hotspots of biological diversity. Of particular interest are animals known to inhabit these vulnerable marine ecosystems, such as coldwater corals and sponges. 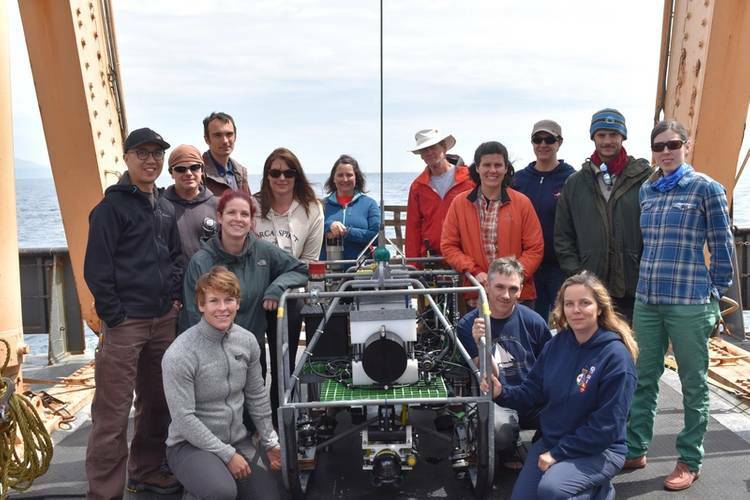 Oceanographic testing will include sampling of plankton, environmental DNA and water for information on nutrients, salinity, temperature and oxygen levels. 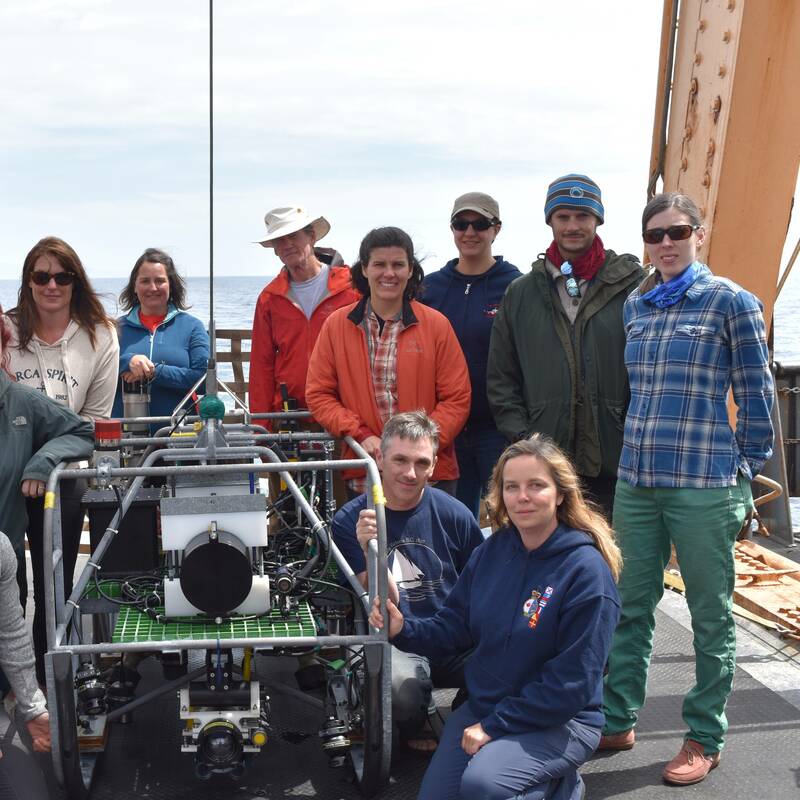 The team is streaming their research from two kilometers under the sea using their new Bathyal Ocean Observation and Televideo System, also known as “BOOTS”, submersible drop-camera platform. Attached to BOOTS’ body is an array of subsea scientific and navigational instruments, sensors for temperature, oxygen and depth, and high-resolution cameras and flood lights more such as SubC Imaging’s cutting edge 1Cam MK6, Aquorea MK2, and the Rayfin, three of which are connected. 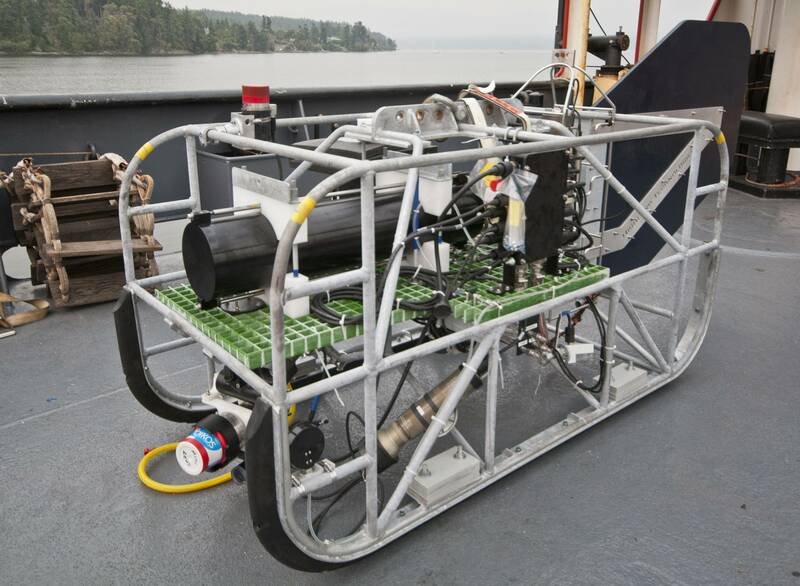 Towed just above the seafloor by the ship, BOOTS can withstand dives down to 2,000 m depths, where it relays data and imagery in real time to a shipboard computer through a long optic cable. Kim Wallace - Electrical Engineering Technologist, devOcean Technology Ltd.
Jonathan Zand - ROV Pilot and Engineer, Ocean Dynamics Inc.